Following a tumultuous period of trade disputes and currency weakness, some emerging markets in Asia have rallied in recent months. They have been boosted by dovish comments from Federal Reserve Chairman Jerome Powell and a temporary U.S.-China trade truce. Two benchmarks stand out: Indonesia's Jakarta Composite has gained more than 10% in the past three months, as of Friday's close, to hit 10-month highs. Meanwhile, the Philippine Stock Exchange Index has jumped 13%, after hitting a near-two-year trough in October. 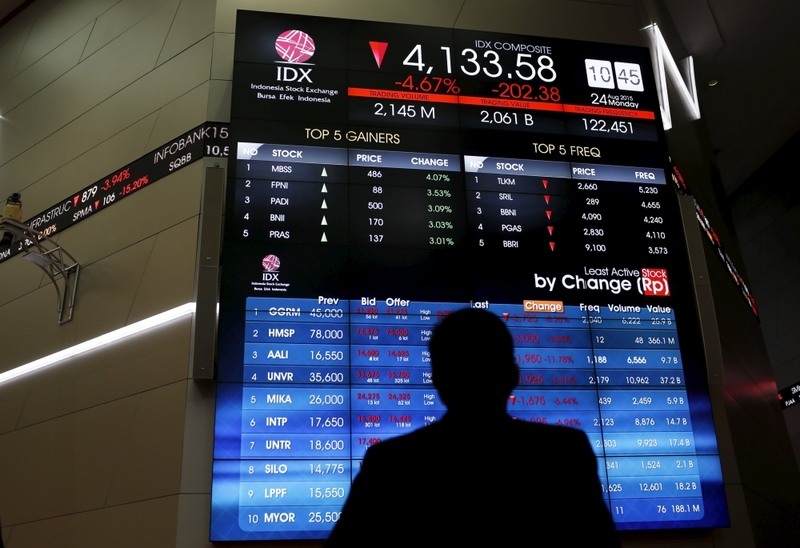 The Indonesian rupiah and Philippine peso have gained 7.3% and 3.4%, respectively, as the U.S. dollar has pulled back. Relatively attractive valuations have probably helped. Even after the rally, the Jakarta and Manila benchmarks trade at roughly 15 and 16 times expected earnings, Refinitiv data shows, versus India's Sensex on 18 times. The Sensex, which gained nearly 6% last year, has lost 0.2% this month. A slide in oil prices has also buoyed Indonesia, Southeast Asia's largest economy, and its northern neighbor, as both are crude importers with current-account deficits. That is in contrast to nearby Malaysia, for example, which is an energy exporter. The two countries' substantial domestic markets make them better insulated from trade frictions than other Asian countries that are more reliant on doing business with China. Min Lan Tan, head of the Asia-Pacific investment office at UBS Wealth Management, said this unit of the bank recommended clients hold more Indonesian assets than their benchmarks suggest, thanks to solid growth, attractive valuations and the prospect of a stronger currency. Ms. Tan said Indonesia's central bank had done well in letting the currency fall last year, as the dollar surged, to help maintain economic growth. She recommends under-weighting the Philippines due to inflation concerns, and takes a more neutral stance on India due to rich valuations, despite strong economic growth. A busy political calendar could also play into investment decisions. The coming months will bring an April presidential election in Indonesia, midterm races in May in the Philippines and a national election in India in the first half of the year.